“Now may the God of peace himself sanctify you completely, and may your whole spirit and soul and body be kept blameless at the coming of our Lord Jesus Christ” (1 Thessalonians 5:23, ESV). A Prayer of sanctification that God would deepen our repentance and strengthen our faith in the daily battle against remaining sin. 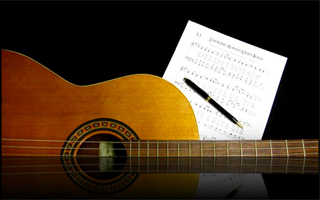 Read more about how this hymn came to be written and download free sheet music (PDF), including chord charts for acoustic guitar, an arrangement of the tune for Classical Guitar, and an arrangement of the tune for Instrumental Ensemble. Thirty years ago I made my first endeavor writing a hymn. 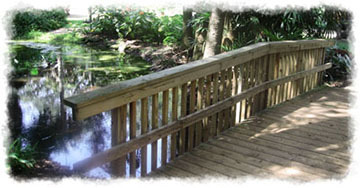 It was prompted by two significant events that God brought into my life in 1985. During that year I began serving God in the music ministry, and as a result, was introduced to the Doctrines of Grace. On February 10, 1985 I was called as Music Minister at Raven Oaks Baptist Church in Omaha, Nebraska (the name of the church was later changed to Sovereign Grace Baptist Church). During the morning worship service on that day, Pastor Bill Lollar preached from Ephesians 2:8–9 as part of a series of messages on “The Greatest Verses in the Bible.” Bill’s preaching, along with a Wednesday night study through the 1689 London Baptist Confession of Faith that spring, challenged and deepened my understanding of God’s Word. Bill also encouraged me to read Loraine Boettner’s book The Reformed Doctrine of Predestination. 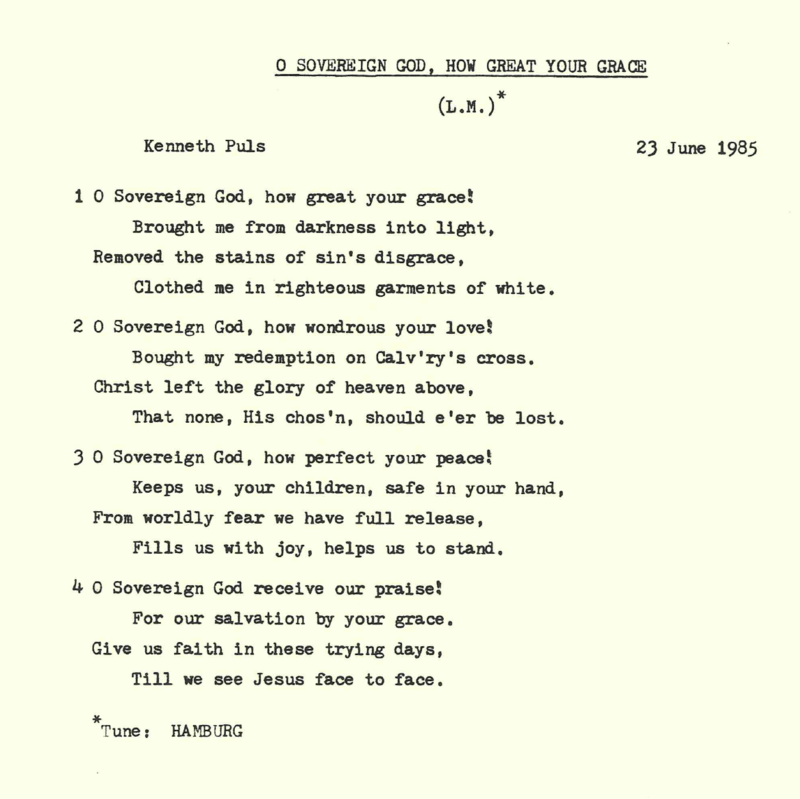 After reading Boettner’s book in May and June, I wrote the hymn and shared it with the church on June 23, 1985. It was a celebration of the truths I was learning and a milestone that would set the course of my ministry. This month marks a tragic anniversary for my home city. Forty years ago, on May 6, 1975, Omaha, Nebraska, was struck by a destructive tornado. I was thirteen then and remember the storm today, especially because it gave occasion for my first effort at writing a song. On that day in 1975 I had arrived home from school when we heard the tornado sirens. My Mom was finishing the ironing and decided that she and my brother and I should take shelter. At the time she was not too concerned with the storm; she promptly put my brother and me to work cleaning when we reached the basement. My Dad, however, was out of town and worried about us. He knew we were in the tornado’s path, but he was not able to reach us. We discovered later that the storm had been headed right for our house. We lived on Crown Pointe Ave, just up the hill from Orchard Park (I was attending Nathan Hale Junior High School). The tornado lifted near Benson Park and then went over our house. Though our house was spared, a large part of the city was devastated. After seeing the damage done to the city, I imagined what it might have been like had the tornado hit our house like it did so many others. Imagination soon led to writing down the words of a song that I named Tornado Ride. Below are the lyrics of the song and a recording that I made at the end of the summer of 1975 for my Dad (retrieved from an old cassette). It is the earliest recording I have of me singing and playing guitar. 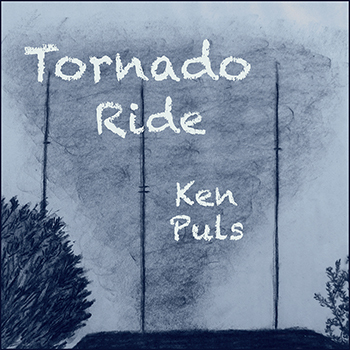 I wrote the song early in May soon after the tornado struck and then shared it with my guitar teacher at one of my lessons. (I studied guitar with Leonard Mostek at his studio on Maple Street.) He liked it and entered me in an area talent show that summer called Show Wagon. I spent June of 1975 singing the song in several city parks in Omaha as part of Show Wagon. Writing this song and having the opportunity to share with others was a defining moment for me. God used it in part to set the course of my life. Ten years after the tornado (after studying music theory and composition at the University of Nebraska at Omaha) I began what would be my life’s work, serving the church through music. For the past 30 years of ministry I have continued to write and arrange music, including many hymns and songs for worship. 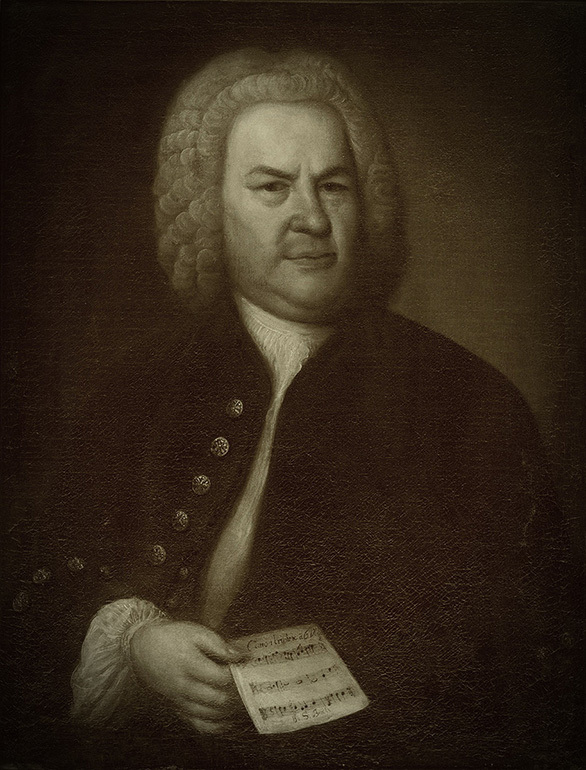 I am grateful for God’s protection in the storm in 1975, and grateful as well that through it I discovered an interest and joy in writing music. I have made it my aim to “praise the Lord as long as I live” (Psalm 146:2). The cover art is from a charcoal drawing made by my daughter Anna Puls (2015). It includes the three TV towers at 72nd and Crown Pointe, not far from where I lived.